Jeni Oye launched her own line of modern jewelry collection called Oye Modern. 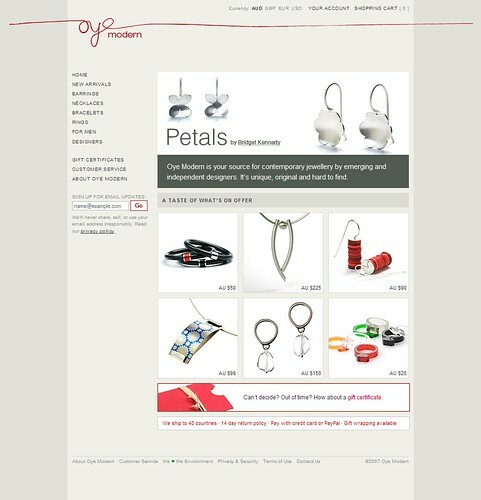 It is the source for contemporary jewelry by emerging and independent designers. It's unique, original and hard to find. Jewelry is shipped internationally to 40 countries with a 14 day return policy. You can shop in any of the four currency as well: AUD, GBP, EUR, USD.